1 PMS color printed on Side 1 of uncoated 100lb Dark Blue Linen stock. 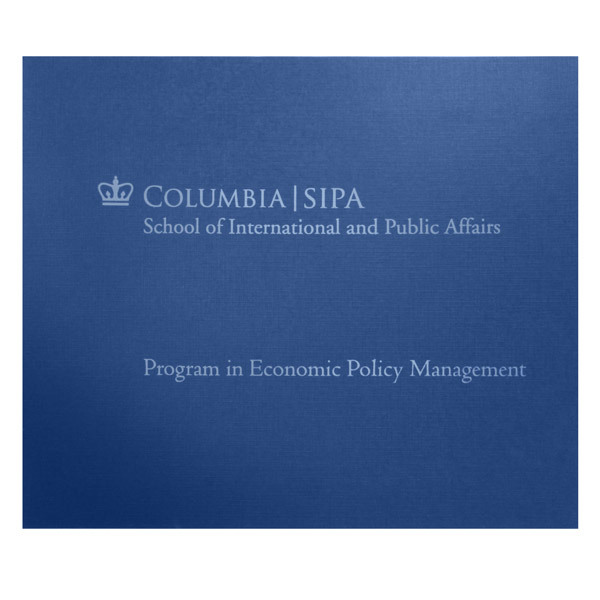 Rich blue linen stock sets a straitlaced tone for Columbia University's School of International and Public Affairs. The dark color also alludes to Columbia's prestigious position as one of the world's top universities, as does the crown logo. Pale blue text brightens up the design to show the school's more personable side. Casting aside recipients' expectations, the landscape orientation creates an unusual twist and hints at the school's individuality. A simple, straight-edged frame on the inner right panel offers a place for students and alumni to display a class photo or diploma. 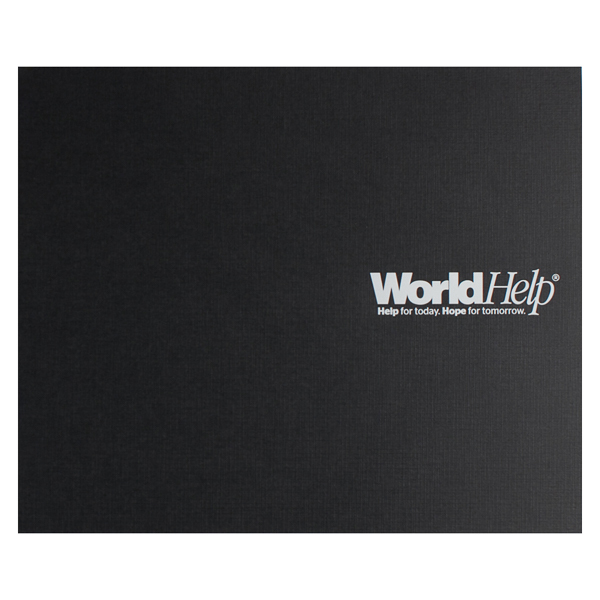 Black panels and white foil give World Help an elegant look. The humanitarian organization's logo and tagline appear at right, encouraging recipients to open the cover. Inside, they can place a photo of themselves on a mission trip or at a World Help fundraising event. A caption thanks volunteers for their efforts to improve the lives of civilians in impoverished countries. 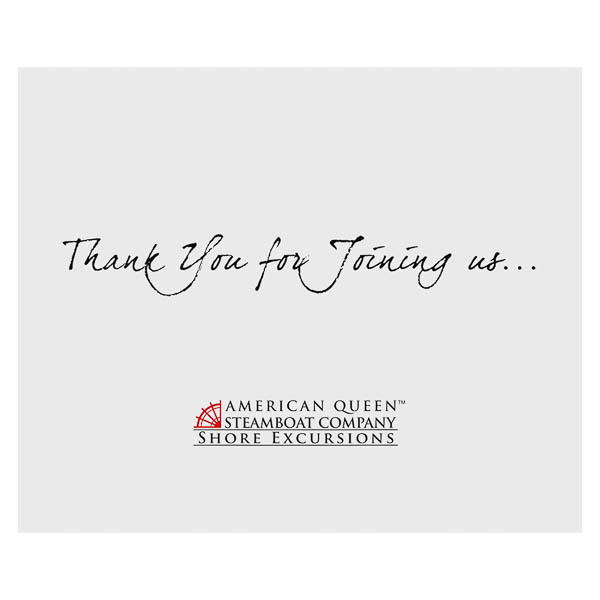 Guests can commemorate a cruise with the American Queen Steamboat Company thanks to this classic design. Its white panels create a clean look that keeps all eyes on the photo inside. A script thank-you note adds an old-fashioned touch, the perfect match for a company that utilizes old time travel methods. The brand's logo on the cover and frame spark viewers' interest in taking their own steamboat cruise. Side 1 printed with 1 PMS color using light coverage. 100lb Smooth White stock uncoated. 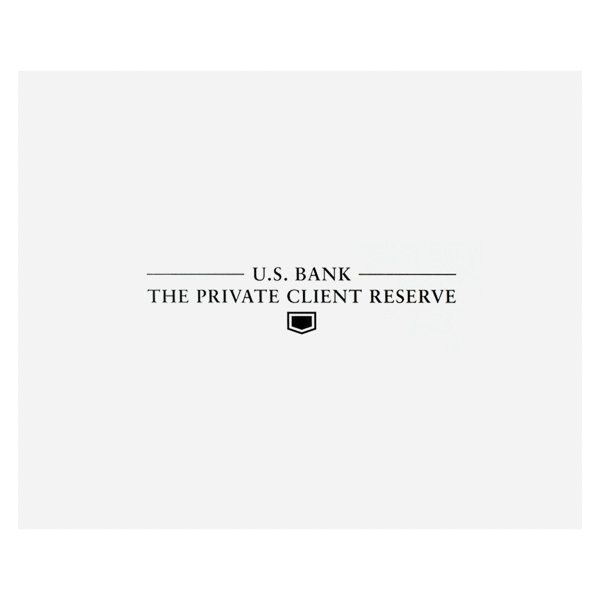 The Private Client Reserve of U.S. Bank caters to private citizens with complex financial needs, yet chose a minimal design that belies its intricate services. White panels are crisp and clean, implying honesty and style. Black type in an elegant serif font alludes to respectability and tradition. Otherwise, the design remains blank to let patrons focus on the photo in the interior frame. This product displays 10" x 8" photos in landscape orientation. The paper stock offers a slim, lightweight alternative to bulky wood-and-glass frames, as well as a closable cover to protect against dirt and smudges. Its landscape orientation offers extra stability when opened to display a photo, as its elongated sides have more contact with the shelf's surface. Print commemorative text on the frame, so recipients can enjoy memories of your event for years to come. Dimension Closed: 11 1/2" x 9 1/2"
Dimension Open: 23" x 9 1/2"